If you love jewelry like we do, you are always on the lookout for the latest Fall jewelry trends and the hottest designers. Look no further than Allen’s Jewelers for a stunning selection of trending designer jewelry. From Lafonn to Kovel, Yael and more find signature jewelry pieces and the latest from hot designers for any occasion. Lafonn is a design house and manufacturer that creates works of art. 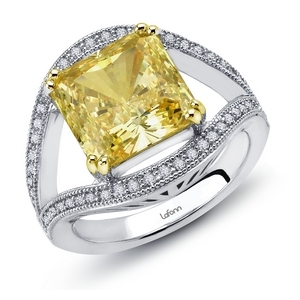 Guided by its Old World mystique of eternal beauty, Lafonn is an arbiter of exquisite jewelry. Expertly crafted in sterling silver bonded with platinum, yellow, or rose-gold, and handset with the world’s finest simulated diamonds, genuine gemstones, and lab created gemstones, every Lafonn piece is coveted for its exceptional brilliance and fire. 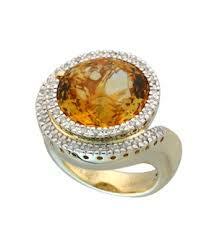 Allen’s Jewelers carries a variety of Lafonn collections. The Lafonn necklace and chain collections range from demure to daring in precious metals, simulated diamonds and colorful gemstones in the latest styles. Rings include bridal, fashion, statement and stacking collections in ideal styles for every occasion. Lafonn earrings feature the latest designs including glamorous chandeliers, sparkling simulated diamonds sure to elevate your style. Bracelet designs include tennis bracelets, stackables, whimsical charm bracelets, simulated diamonds and gemstones. 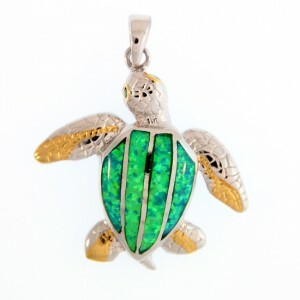 See the latest Lafonn designer jewelry styles at Allen’s Jewelers today. Yael Designs is an award-winning design house widely recognized for bold, opulent fine jewelry. At the very heart of Yael Designs lies our designer’s belief that jewelry should always strive to be art. Yael handpicks gemstones and diamonds of superior cut and color and highlight their natural beauty through intricate handwork and imaginative forms. Whether crafting opulent emerald earrings, an ultra-feminine cocktail ring or a striking colored diamond bracelet, they make sure their pieces make bold fashion statements today and become lasting collectibles tomorrow. 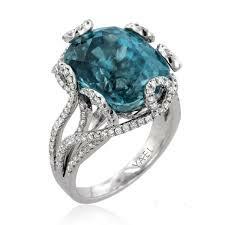 To see the latest Yael pieces, come visit the Allen’s Jewelers showroom on Atlantic Boulevard in Jacksonville! The Kovel Collection is entirely designed and meticulously produced for you by Dr. Kovel and is available at Allen’s Jewelers. His muse is the ocean realm and the greater natural world. With each new design he strives to raise awareness to show just how beautiful and wondrous our world is. 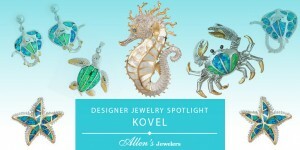 Kovel jewelry collections feature inlays, pearls, precious in silver, precious on pearl and other showpieces. Come visit our Atlantic Boulevard showroom in Jacksonville and let our Team help you find the perfect Kovel design to fit your taste and style!